Product code: 756 Category: Sold Jewellery. 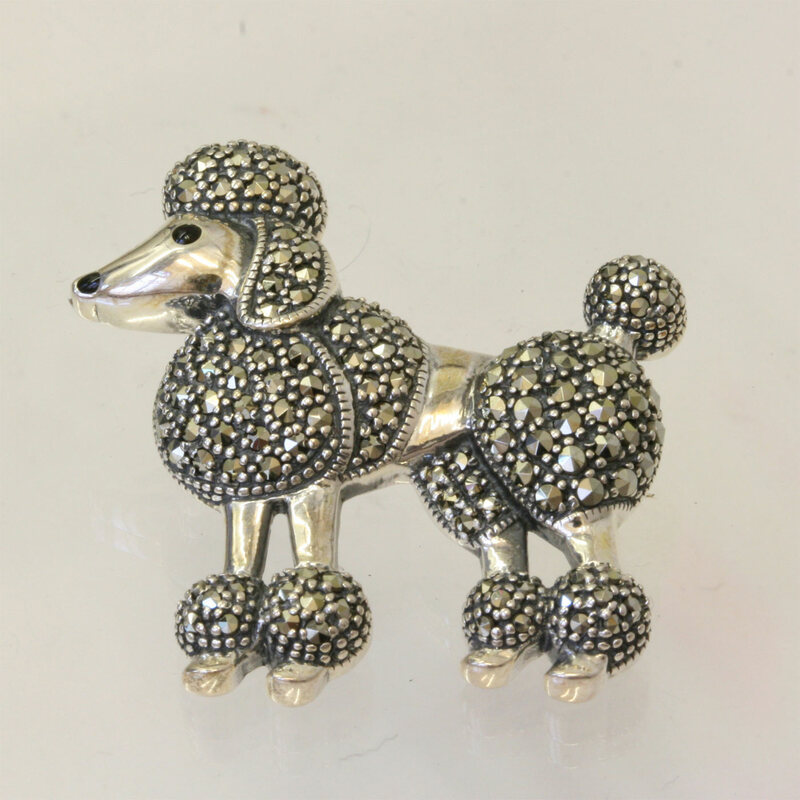 How cute and adorable is this poodle brooch! Made in sterling silver, and set with marcasites, this wonderful brooch in the form of a poodle will delight any poodle lover out there! With a wonderful French style it and measuring 3.2cm across, this is one poodle that will be loved by all!